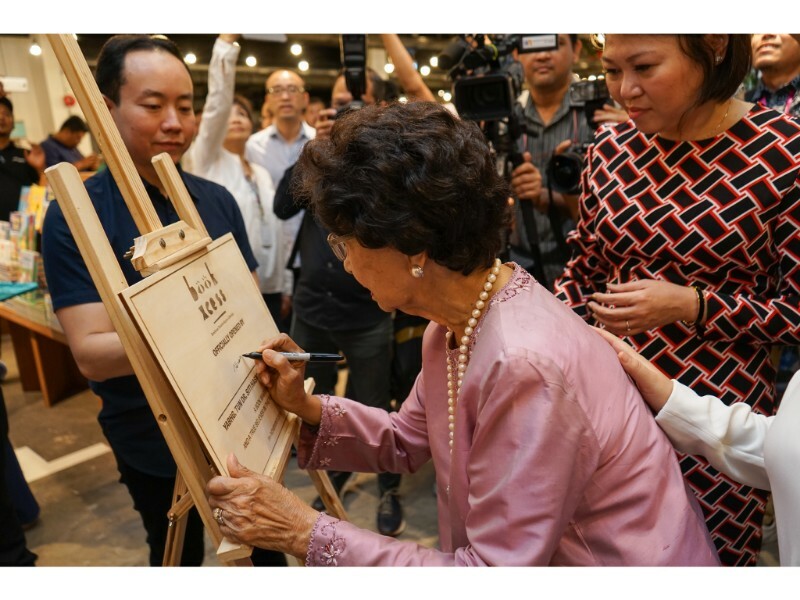 BookXcess Tamarind Square was officially launched on Friday, 9 November 2018 by YABhg. Tun Dr. Siti Hasmah who is an advocate of reading. With a footprint of 37,000 sq ft, Malaysia’s only 24-hour bookstore is currently the nation’s biggest with over half a million books available. The bookstore has an exhibition and children’s area, communal reading space as well as creative event spaces. In conjunction with this auspicious event, BookXcess also launched its Christmas charity drive themed “The Priceless Gift”. The charity drive encourages customers to donate books to the underprivileged. For each book donated, BookXcess will match it with another book. 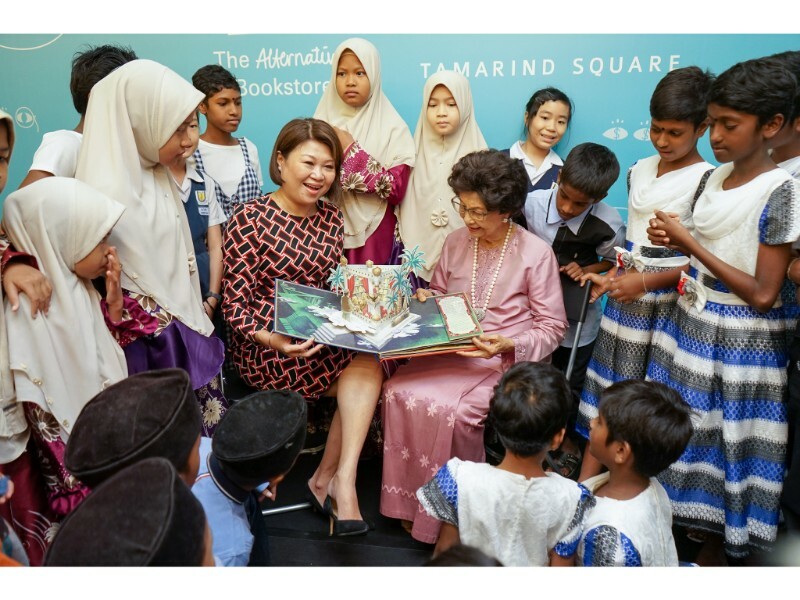 To kickstart this initiative, the children from Pusat Jagaan Beribuan Kasih and Pusat Baitus Sakinah were in attendance to choose their preferred books and receive their gifts by BookXcess. “We’re all about encouraging people to read more and reignite their love for reading. We themed our charity drive “The Priceless Gift” this year because we believe that books can create endless possibilities, inspire people to dream big and empower them to pursue their dreams. Books can change one’s life and we hope that through this charity drive we will able to give the gift of reading to the underprivileged,” said Jacqueline Ng, Founder of BookXcess. This year, BookXcess has selected 12 orphanages within Klang Valley and Selangor as the recipients of the donation. The charity drive will start on 9 November 2018 till 20 December 2018. Customers who are keen to participate in the charity drive can visit BookXcess outlets at Amcorp Mall, the Starling Mall, fahrenheit88, 1 Utama, SS15 Courtyard, Centro Mall Klang and Tamarind Square. Tujuan Gemilang Sdn Bhd the property owner of Tamarind Square also donated RM5,000 worth of books to SJK(C) Union, Cyberjaya and SK Cyberjaya, respectively, in support of nurturing young readers who will be the future of Malaysia. The launch was also graced by Tan Sri Datuk Haji Mustapha Kamal bin Abu Bakar, Executive Chairman of The Emkay Group of Companies, Puan Sri Datin Hajjah Wan Nong Binti Hj Wan Ibrahim, Puan Hajjah Felina Bt Tan Sri Mustapha Kamal, Executive Chairman of Mk Land Holdings Berhad, Tuan Haji Ahmad Khalif Bin Tan Sri Mustapha Kamal, Executive Chairman of Tujuan Gemilang Sdn Bhd and Mr Peter Chan, Executive Director of Tujuan Gemilang Sdn Bhd. BookXcess opened its first outlet in Amcorp Mall in 2006, and has retail outlets at the Starling, fahrenheit88, as well as gift stores called BookXcess XS in 1 Utama, SS15 Courtyard and Centro Mall, Klang. 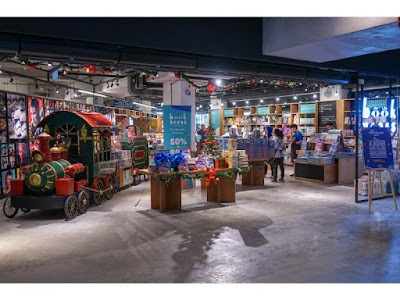 In May 2018, BookXcess also launched the nation’s biggest 24-hour bookstore at Tamarind Square. The company also offers online shopping at bookxcessonline.com to meet the needs of customers outside the Klang Valley.